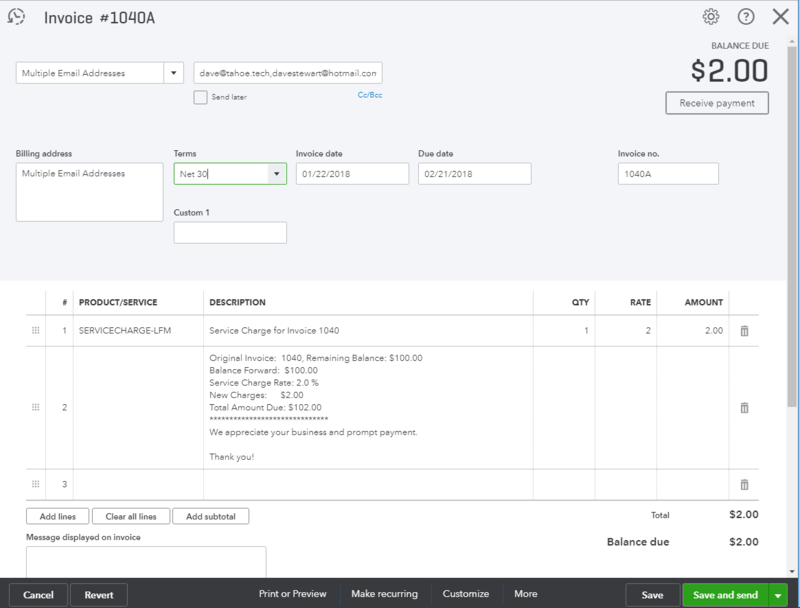 What does an LFM fee invoice look like? How does the invoice numbering work? 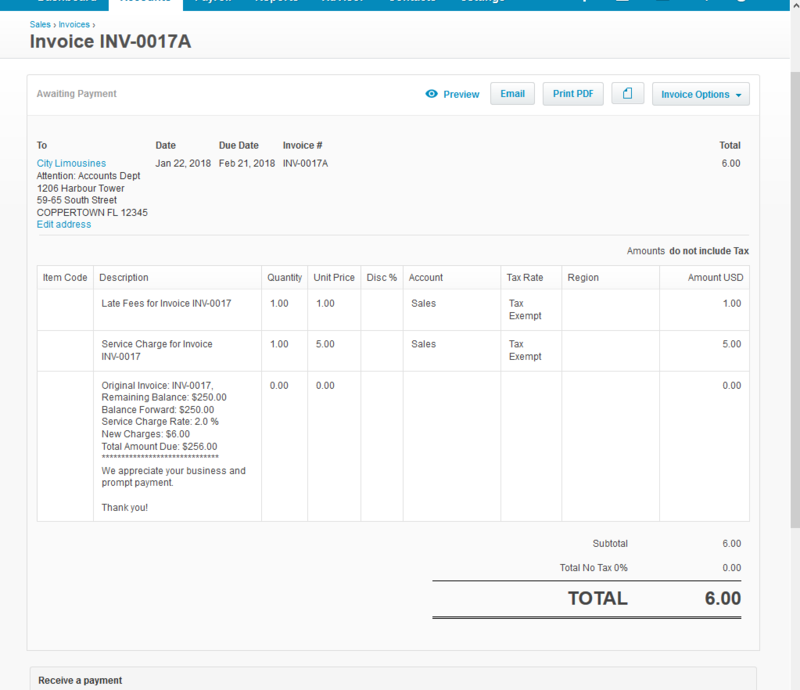 When Late Fee Manager generates a late fee invoice for you, we always create a new invoice for the fee. We do not edit existing invoices as this can cause confusion and potential issues related to multiple versions of the same document. So when we charge a fee, we create a new invoice with it's own invoice number. 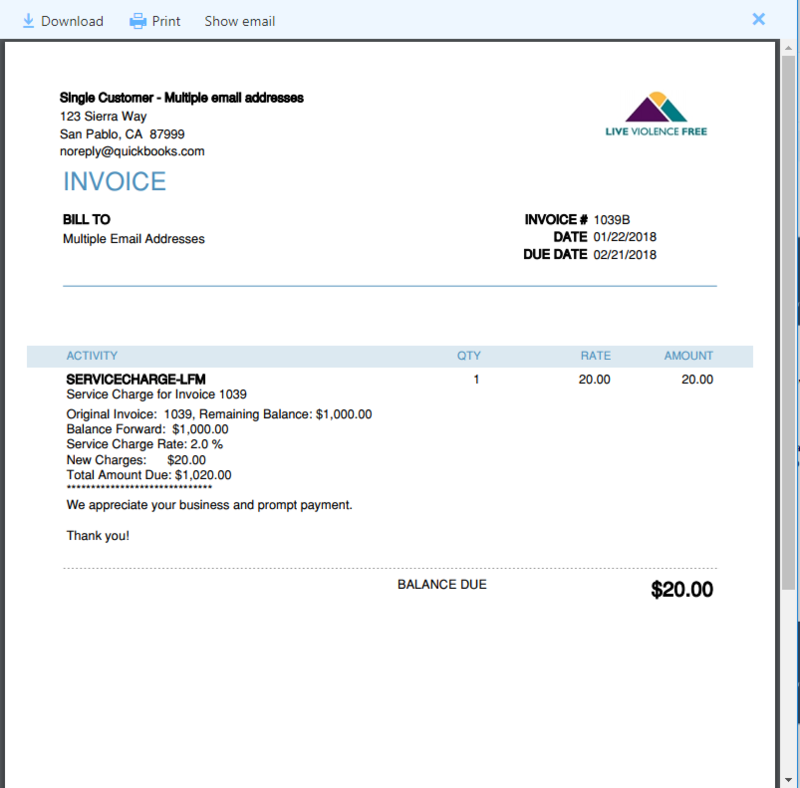 To make it easy to associate the invoice with the original invoice, we append a letter to the original invoice number. For example if invoice #1234 is past due and fee is due based on your LFM settings, we will generate fee invoice #1234A. If you have recurring fees enabled and the original balance goes unpaid, we will later create invoice #1234B, then #1234C and so on. Please note that you have the ability to fully customize all of the text in all of the emails as well as the personalized text in the fee invoice line items. 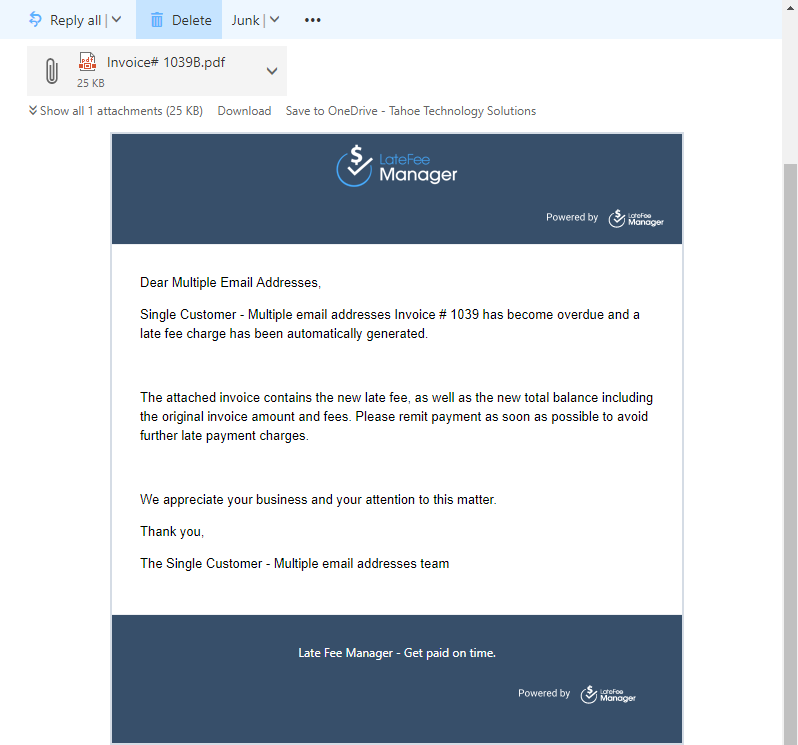 The text in the screenshots below is provided as the default values, but you have the ability to customize all correspondence sent to your customers.